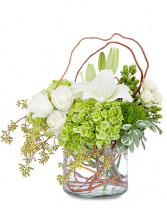 Like a quiet walk through a snowy forest, this peaceful bouquet presented in a beautiful cube vase is the epitome of elegance for any winter celebration. 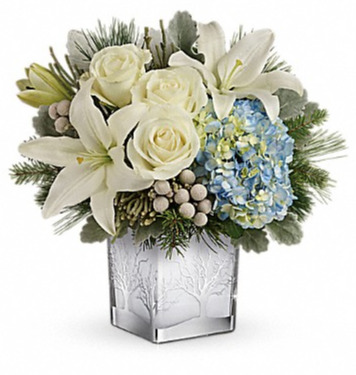 This gorgeous arrangement features light blue hydrangea, white roses, white asiatic lilies, silver brunia, dusty miller, douglas fir, and white pine. 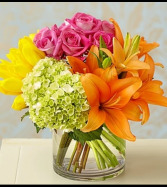 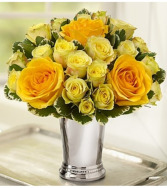 Presented by Teleflora.